The Montreal musician recently read the graphic novel by the award-winning author and illustrator. Montreal's Genevieve Ryan Martel, known professionally as Ryan Playground, is a talented producer, singer and songwriter. 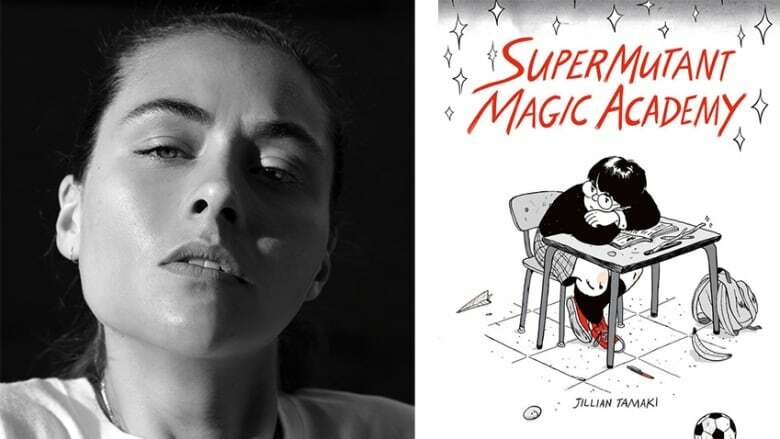 She stopped by The Next Chapter to talk about the book she's currently reading, which is the graphic novel SuperMutant Magic Academy by Jillian Tamaki. "It's about the life of a student at a high school called SuperMutant Magic Academy. There are eight main characters — the two main ones being Wendy and Marcia. Wendy is a very cute girl who all the boys like and Marcia is the opposite, but soon realizes that she is in love with Wendy. "It's really about the confusion that comes with being a teenager and being in high school. There is a little bit of science fiction in the book but it's all about irony and sarcasm." Ryan Playground's comments have been edited for length and clarity.